The American military has trained UAE fighter pilots for combat missions in Yemen, indicating Washington’s deeper involvement into the ongoing conflict, a recent report citing US Air Force documents claims. It was completed at the USAF’s Warfare Center in Al Dhafra, just south of the UAE capital, Abu Dhabi. 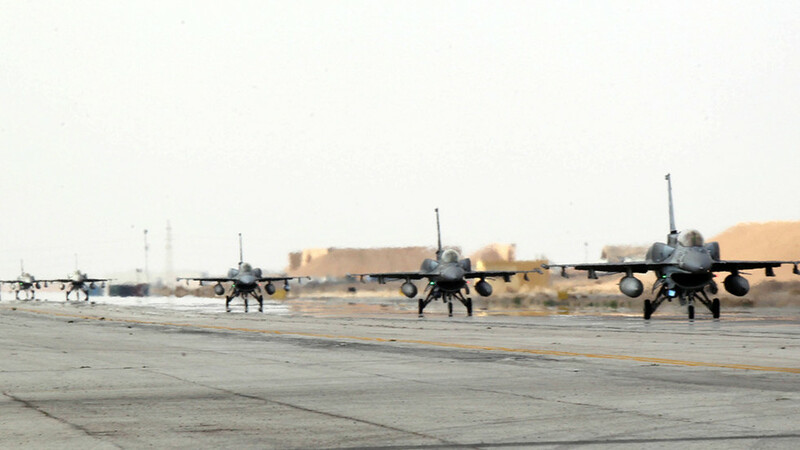 Also revealed was the escorting of four UAE F-16s to the USAF’s Red Flag exercises in the Nevada desert. The two-week advanced aerial combat training oversaw 150 Emirati personnel participate in “challenging exercises” with the goal to “prepare” them for combat action in Yemen. The UAE has been involved in Yemen’s civil war as part of a Western-backed, Saudi-led coalition battling Houthi rebels who rose up against the government in 2015. While Saudi Arabia’s bombing campaign in the country has garnered the most international criticism, the UAE’s role has received less coverage. However, it has been an active partner in the coalition, contributing both troops on the ground in addition to planes in the sky. When pressed for comment on the UAE training by Yahoo News, both a US Central Command (CENTCOM) spokesperson and a second CENTCOM official, Lt. Col. Josh Jacques, repeatedly denied the claims of prepping pilots for Yemen sorties. “We do not conduct exercises with members of the [Saudi-led coalition] to prepare for combat operations in Yemen,” Jacques said. US officials have long been coy regarding the true extent of their support for the coalition, insisting that arm sales, air-to-air refueling, as well as intelligence training and sharing constitute the extent of their involvement. However, in November, the US government said it would end mid-air refueling of coalition aircraft in response to growing outrage that the Saudi-led bombing campaign was unlawfully targeting civilians and putting the country on the brink of famine. For its part, Riyadh has repeatedly denied targeting civilians and not military related infrastructure on purpose. R ~ I don't doubt that the US 'trainers' are flying in the sorties themselves.